Sapper Lawrence George Gilbert Dawson was the son of Bertha and George Dawson of Thamesford. 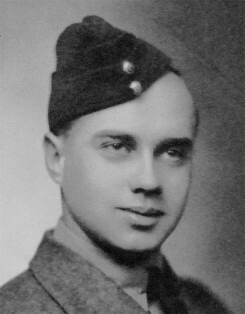 He joined the Royal Canadian Artillery and became part of the Royal Canadian Engineers in 1942 and served in Canada before shipping overseas in 1944 to serve in England, Holland, and Germany. On his return, he married Florence Warren and they lived in Thamesford.